If you’re in London on the 24th, you might want to check out the latest auction by Kerry Taylor. 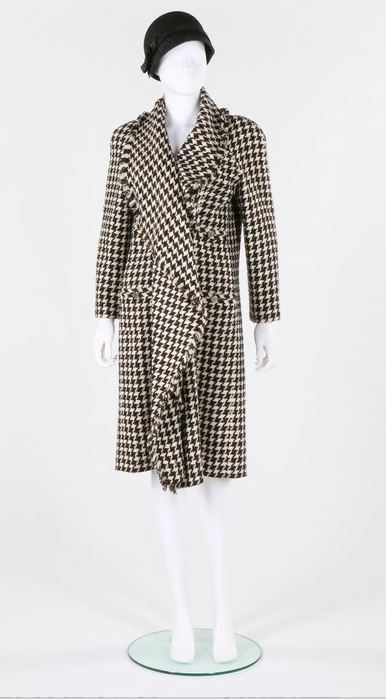 The auction experience is a must for fashion and clothing enthusiasts of all kinds. We’ve selected a few of our favorite pieces up for auction but the complete catalog can be viewed at www.kerrytaylorauctions.com. Don’t live in London? You can bid online! 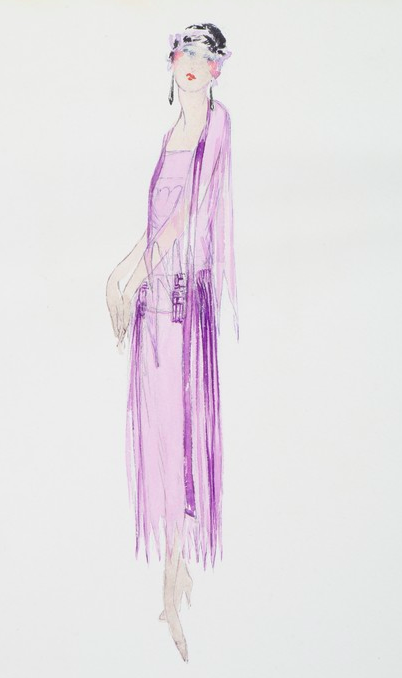 Lot 162 : Four Lucile studio sketches, early 1920s. 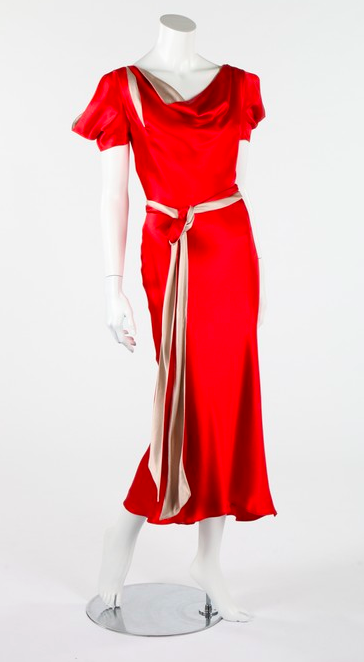 Lot 106 : An Alexander McQueen scarlet satin 30s inspired dress, 2007. Lot 155 : Six 1930s evening gowns. 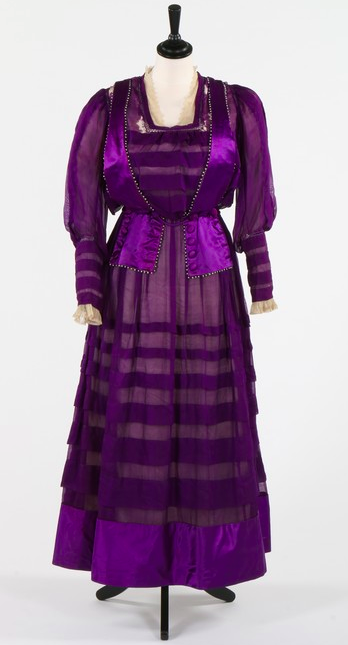 Lot 99 : A purple chiffon and satin suffragette or mourning gown circa 1914-18. 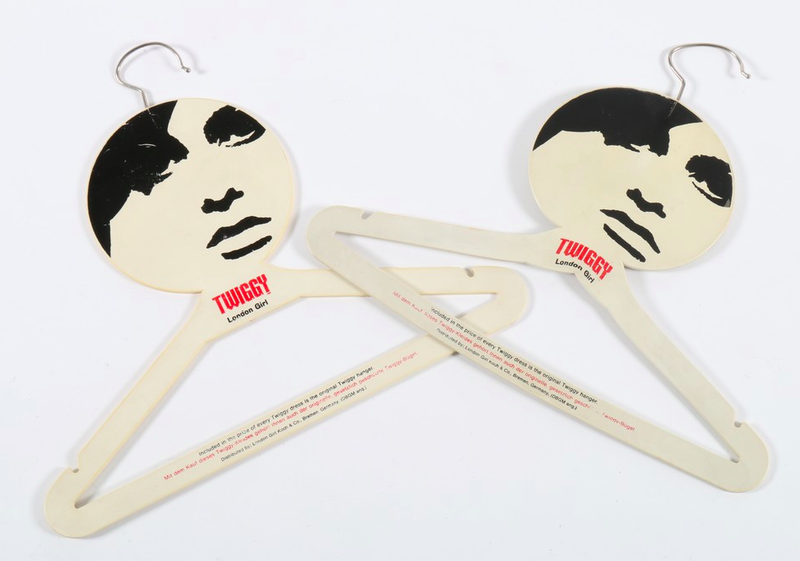 Lot 178 : Two rare Twiggy ‘London Girl’ plastic coat hangers, 1967. 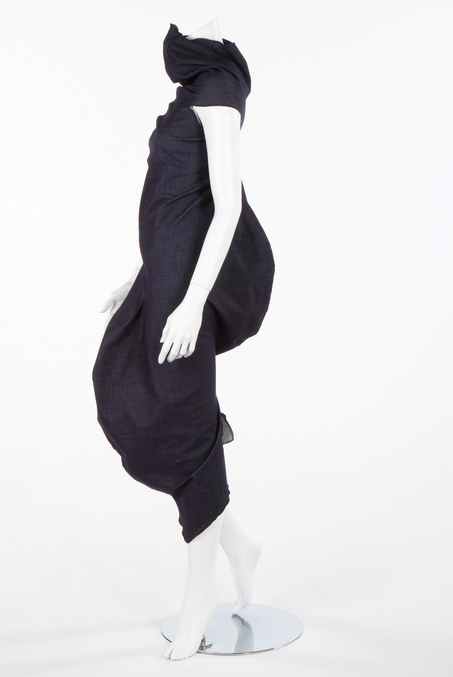 Lot 341 : Two Comme des Garcons dresses, probably S/S 1997 ‘Dress Meets Body’ collection.